Product #46319 | SKU 066311 | 0.0 (no ratings yet) Thanks for your rating! 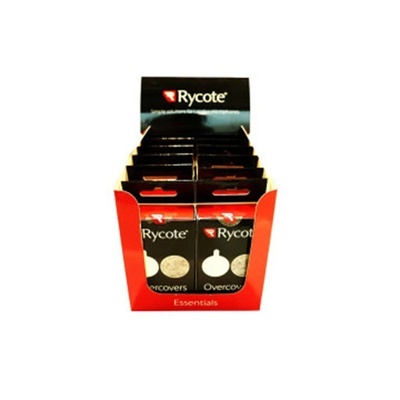 The beige Overcovers Advanced, Wind Covers & Adhesive Mounts for Lavalier Mics from Rycote include 10 packs of twenty-five 23mm round stickies and five 26mm fur covers. It is specifically designed for use with small personal microphones in windy outdoor conditions. Using the stickies to affix a lavalier mic onto the skin or on top of clothing, overcovers include a fur windjammer that can be affixed on top of the lav microphone, delivering excellent wind noise protection. The larger size (26mm) fur overcover is designed to match the DPA concealers.